The FHA Handbook instructs lenders that a borrower is technically qualified for maximum financing at the required minimum 3.5% down payment when the applicant has a FICO score at 580 or higher. May 12, 2017 - Do you know how your FICO scores can affect your FHA home loan application? Do you know the difference between the FHA loan program minimum scores for loan approval and your lender’s FICO score requirements? There IS a difference. FHA loan rules in HUD 4000.1, referred to as the FHA Handbook, instruct the lender that a borrower is technically qualified for maximum financing at the required minimum 3.5% down payment when the applicant has FICO scores at 580 or higher. Borrowers applying for FHA forward mortgages with FICO scores between 500 and 579 are technically eligible for FHA loans with a 10% minimum required down payment. These are FHA loan program minimum requirements which do not reflect lender standards, which may be (and often are) higher than the FICO scores mentioned above. Furthermore, FHA loan rules state that a borrower’s FICO scores are not the only measure of a borrower's creditworthiness. Your record of payments, overall patterns of credit use, and employment history are also considered when the lender is in the process of approving or denying an FHA loan. Those who apply for a mortgage with at least 12 months of on-time payments on ALL financial obligations leading up to the loan application stand a far better chance of loan approval. Time your FHA loan application so that when you fill out the forms, there are 12 months (minimum) of on-time payments on your credit history. HUD 4000.1 tells the lender that all who are to be obligated on the mortgage are required to credit qualify. 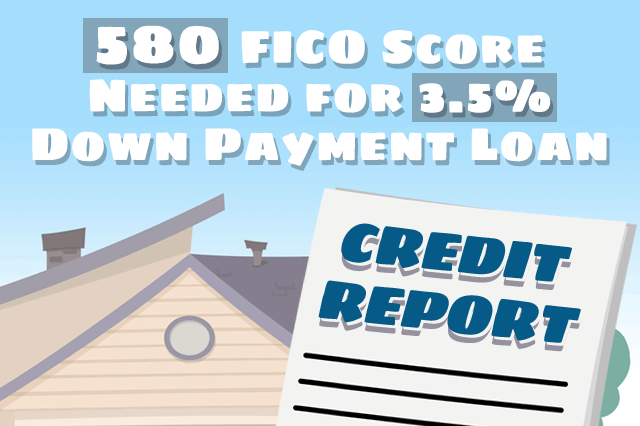 A lower FICO score is not always a barrier to loan approval depending on lender standards and whether there are "compensating factors" such as a larger down payment, or substantial cash reserves (just to name two examples) that could help a borrower who is borderline where the lender’s FICO score requirements are concerned. Borrowers take note-these factors cannot offset derogatory credit information that shows consistent patterns of being a poor credit risk. Your lender may be able to work with you if you have blemishes on your credit record if your other credit patterns indicate reliability. Much depends on your circumstances, your ability to document one-time financial difficulties or other issues that may not reflect who you really are as a responsible credit user.